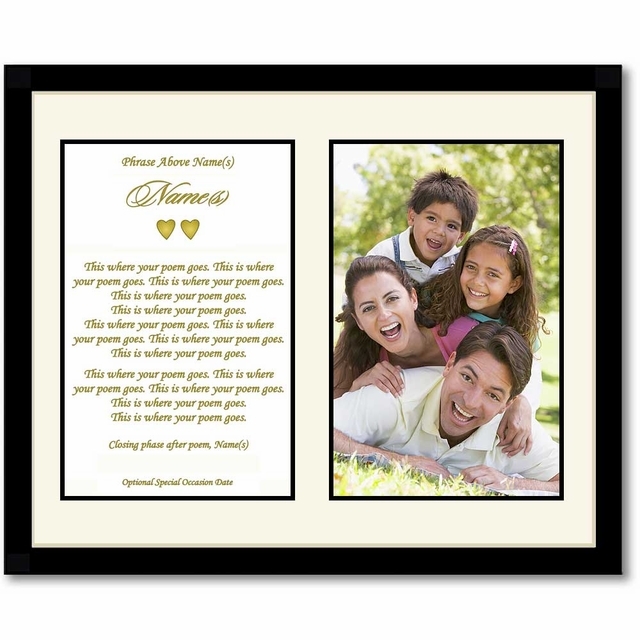 Let us design your poem or words into a gift that will become a treasured keepsake for a friend or family member. 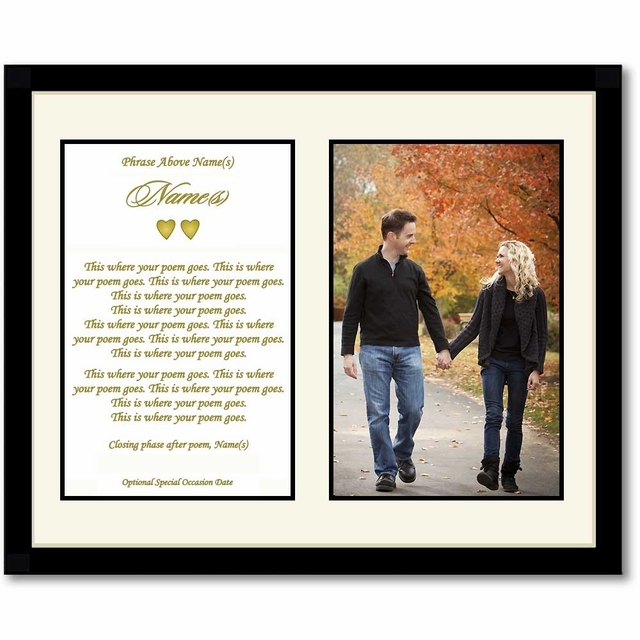 Do you have your own poem that you would like to have designed and framed? 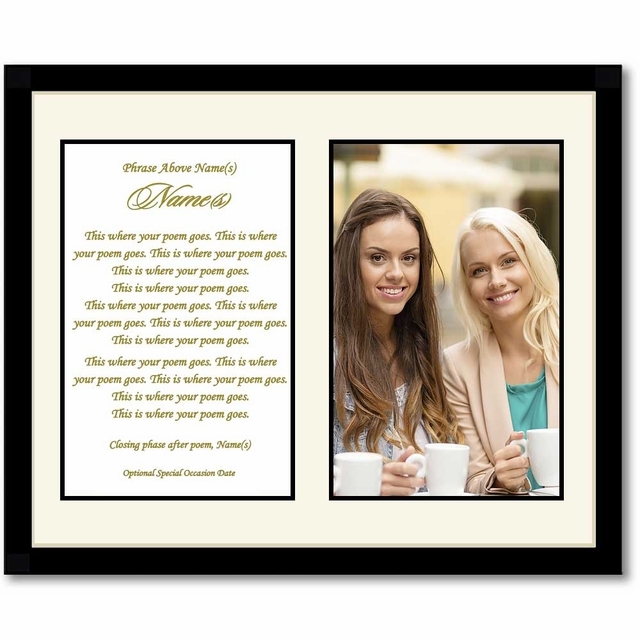 This matted frame will make the perfect home for your poetry or prose. 1. Phrase Above Name - Examples: On My Wedding Day, I Love You, Happy Birthday, Happy Anniversary, etc. 2. Name(s) - Examples: Mom & Dad; Jeff; The Miller Family; etc. This is a great product, it was the cheapest option and gave you the most room to write whatever you needed to. Got this for valentines day for my wife and I am sure she is going to love it! The finished product turned out so much better than I expected. It was for our wedding anniversary and he loved it! My personal poem turned out great. The team was very helpful, responsive, and accommodating throughout the process. Would recommend to anyone! Exactly as described and came early! My poem looks great and I can't wait to give it to him. Thanks!